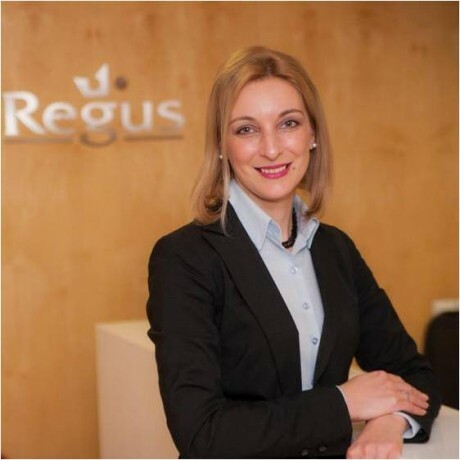 Sorana Baciu is a former strategy director for OMV Petrom, and after that her entrepreneurial spirit and her perseverance guided her to lay the foundations of her own business – Acgenio, a business consultancy firm. A feminine role model, Sorana Baciu enthusiastically spoke about career and about the meaning of achieving goals through own resources and a lot of work, but also about how to be a persistent source of inspiration. Trainart: What was the key-moment that convinced you to quit the position of strategy director for OMV Petrom in favor of starting your own business? S.B. : It wasn`t about a particular moment. This decision has been gradually and naturally shaped, as a result of my entire experience and my need for new challenges and for bringing value where I considered that it was most needed. Trainart: What made you return in Romania at the end of the `90s, after your graduation at McGill University and after the internship at Merrill Lynch? S.B. : I left Romania in 1995 in order to return much more prepared to contribute to Romanian economy`s transition to a competitive economy. 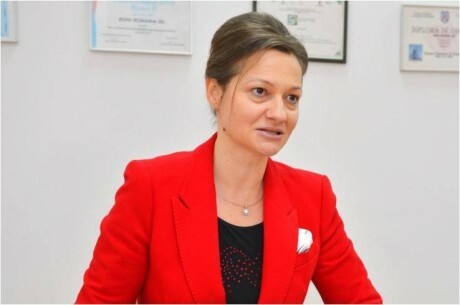 Before I went to studies at McGill University, I worked at Economic Reform Department of Ministry of Strategy and Economic Reform, in an extremely interesting and effervescent period for Romania. Then, I applied to different universities from US and Canada, after I took the necessary tests and I got a grant to many universities, but at McGill I got the scholarship too, so that made my decision easier. Moreover, it has an excellent reputation in North-America. Meanwhile, in Romania, presidential and parliamentary elections took place and Constantinescu was elected as president, and in Parliament a liberal-peasant coalition was formed. I thought that a period of a real transformation will begin and I wanted to concur to that transformation. Moreover, my boy was, back then, 3 years-old and I didn`t believe New York could be an appropriate place to raise a child, without a network support (family, friends etc.). Trainart: What was the most difficult obstacle in your career? S.B. : The most difficult obstacle was obtaining my authorization as vice-president af Porsche Bank Romania by BNR. At the beginning of 2000, banking licenses were given very hard, – which was naturally after the problems with the banking system in the immediately previous period of time – Bancorex, Banca Agricola, Banca Dacia Felix bankruptcies etc.-, and people from bank management were authorized after a severe analysis of experience in banking, but also in management, and the specific degrees. Both Porsche Bank and I were “novelties” in banking area – Porsche Bank is a niche bank, a captive financial institution, and I was a relatively young banker (35 years old) and a woman, in a period of time when banking management was done especially by gentlemen. I was nervous, but, in the end, the professionalism and experience made a count, because we got the BNR authorization, both for founding the Bank, and for me as a vice-president. Trainart: Tell us, shortly, a story about a situation which made you feel empowered/resourceful/ spectacular. S.B. : First moment was my activity as governmental expert at the Department of Economic Reform in 1992-1995. It was an amazing opportunity to be part of an exceptional team and to work with experts from The World Bank, in a period of great effervescence in Romania. I believe that if Romania would have kept that enthusiasm and professionalism in public administration, we would have been far away by now. In 1994 I was in South Korea at Korean Development Institute, an exchange of experience at the governmental level. I met there exceptional economists, prepared at first rank universities from USA such as Stanford, MIT or Harvard, brought back there in Korea to create this think-tank responsible for political and economic strategy. At my return to Romania, I suggested a similar institution to be founded, but unfortunately, I didn`t get the expected support, and I didn`t have the inspiration or the strength to be persistent. A recent situation is that I established the European Foundation for Engaged Youth which, in spite of the name, is a pure Romanian NGO, thought and created by two women who want Romania to be a natural choice for their children and for all Romanian people. Trainart: From all Romanian female personalities, who would you choose to appear on a Romanian banknote? Trainart. : The employment rate among women with children is much lower than women without children in care. You succeeded to manage them both, how may balance between professional and personal life be obtained ? S.B. : I was lucky with my parents, especially with my mother, who retired exactly in the year when Stefan was born, and took care of him with enormous love and dedication. Also, my husband was very involved in the education of our son and in family activities, which is very important for the family balance. I think it is very important to become aware of the impact that efforts of developing a professional career might have over the family life, and especially over children. It is very hard to find a balance between professional career and private life for a woman, and that is why in countries where it is a constant care for promoting women in management positions it is largely spoken now about ‘agile working environment’. Trainart: Your consultancy firm is active for almost 6 months now, which are the first thoughts? S.B. : In these five months since I left corporate, I dedicated my efforts to non-profit activities: Professional Women’s Network and European Foundation for Engaged Youth. Gradually I have started to develop the consultancy activity too, and the feed-back is balanced: there are companies that are aware of the necessity of a targeted consultancy activity on unfamiliar areas, but they don`t have enough resources to invest in consultancy, there are also companies that, even when they are stuck or they are on the edge of the chaos, still consider they know better what to do. A constant educational process is necessary to prove to local companies the benefits of consultancy and to find methods to finance the needs for consultancy for Romanian companies. Trainart: What do you think about a potential career in politics? S.B. : I am taking in consideration this possibility too, especially in actual conjuncture, when political scene seems to go in a better direction. Trainart: What is your advice for young women who want to start a career in entrepreneurship? S.B. : To evaluate realistically the opportunities of the domain they are targeting, to identify the competitive advantages they have in the targeted domain and to stubbornly use all resources they have. 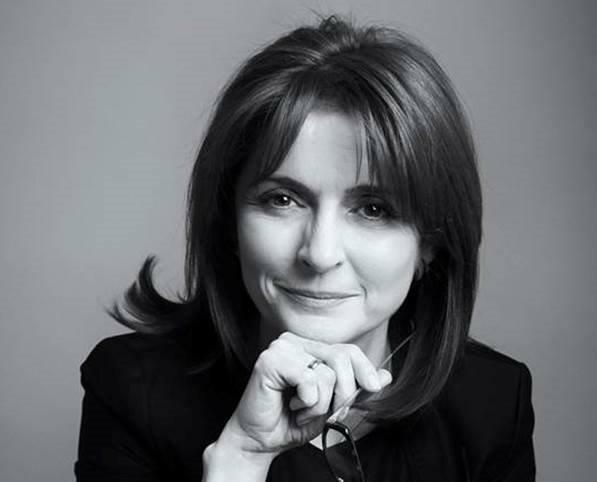 Sorana Baciu is a genuine “leader on heels”, succeeding in merging harmoniously professional life with the private one. She is passionate about her work, combines the perseverance and flexibility to achieve her goals and is always searching to create and develop teams and, by extension, successful people.